Irish airline Ryanair on Oct. 31 confirmed its full-year profit guidance of between 1.4 billion and 1.45 billion euros despite a pilot rostering failure in September that led to the cancellation of around 20,000 flights. Profit after tax was 1.3 billion euros in the six months to the end of September, in line with analysts’ expectations and up 11 percent from a year earlier. Customers in the period increased 11 percent year-on-year to 72.1 million, while revenue rose 7 percent to 4.4 billion euros. 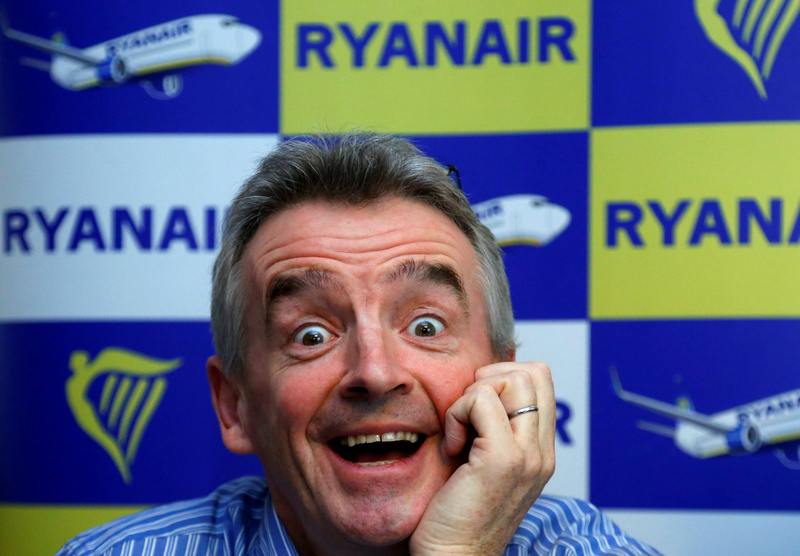 Ryanair’s shares were up 5 percent to 16.6 euros by 0810 GMT on Oct. 31.